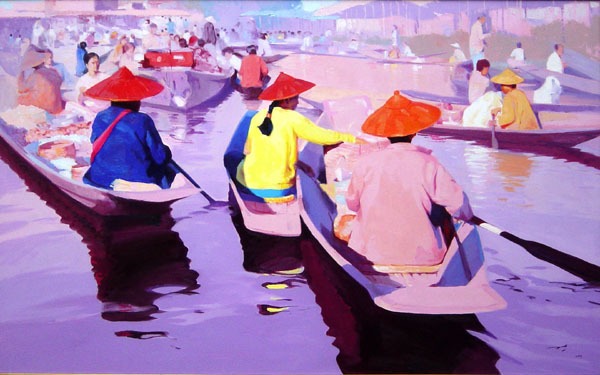 ArtAsiaNYC is pleased to offer a large selection of fine contemporary paintings from Burma (Myanmar). Connoisseurs and lovers of contemporary art will find work that is both rich in expression and technique. 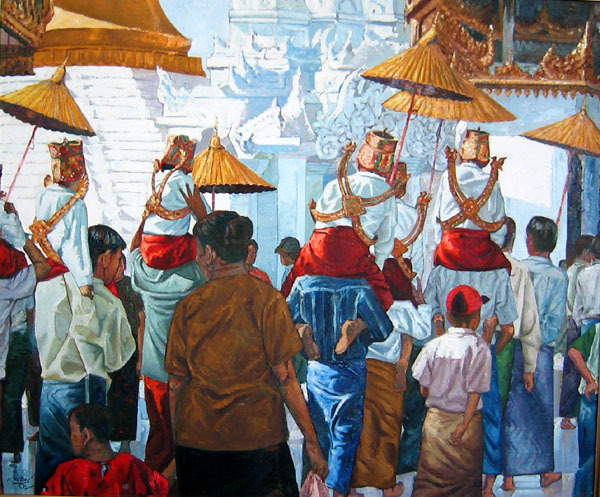 At the same time, it is important to bear in mind that Burma has been rather isolated from most of the world for several decades and artwork has therefore tended to focus on more traditional subjects and religious themes. It is only during the past several years that the country has started to open up to tourism and foreign business that has helped to nurture an environment more conducive to artistic expression. Many works of art produced more recently possess a boldness, passion, and sensitivity that represent the beginning of a new phase of development and greater experimentation. 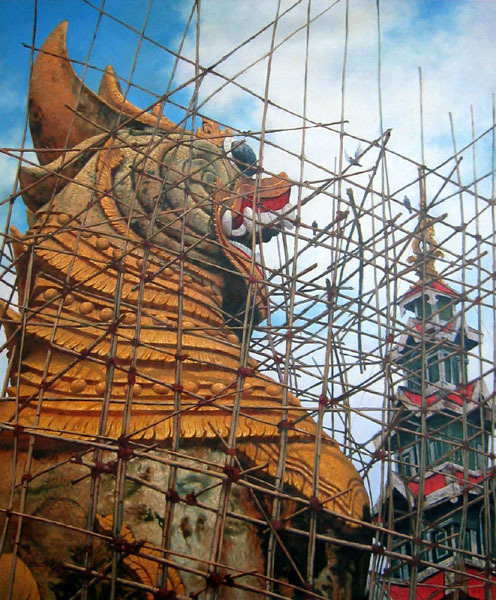 ArtAsiaNYC is committed to supporting this greater sense of freedom in the art community of Burma (Myanmar), as well as assisting its art schools and organizations with their plans for the future. Richard Streiter, founder of ArtAsiaNYC, served as a Dean and Vice President for 28 years at Pratt Institute and the Fashion Institute of Technology (FIT) in New York City. He represented FIT in many countries in different parts of the world regarding educational matters, as well as design and technical assistance projects in India, China, Japan, France, Italy, Egypt and Brazil, among others. He most recently dedicated his services to the State School of Fine Arts in Rangoon (Yangon) as a volunteer. All measurements are in inches and all artwork is oil on canvas unless specified otherwise. Mailing Address: ArtAsiaNYC, PO Box 173, Greendell, New Jersey 07839 U.S.A. Packing and shipping within the Continental U.S. will cost approximately $150 to $250, depending on the size of the painting. Send all E-mail to Richard Streiter at rstreiter@yahoo.com with questions or comments about this web site.